It’s Christmas, so it’s probably a bit late for you to get your loved ones a gift. But not to worry – you can always get them an amazing late Christmas gift. Mecum is hosting its annual Mecum Kissimmee auction from January 3rd until January 13th, presenting the perfect opportunity to treat yourself shortly after the holiday season. While many of the cars at Mecum Kissimmee will remain unobtainable for most of us, it’s still fun to peruse the auction’s lot listings, if for nothing else than to window shop a bit. So, without further ado, here are five of our favorite GM cars that will be sold at the Florida auction next month. This perfect Ermine White on red Corvette Z06 was rescued from a barn after being stored there for over 50 years. It has the original, numbers-matching 327 engine and four-speed manual transmission and is 1 of 63 units produced with the ‘N03’ option code 36 gallon fuel tank. It’s also well documented, with the dealer invoice and deposit check receipt from 1965 included in the sale. We love the way this one looks, and Mecum estimates it will sell for $550,000 – $650,000. 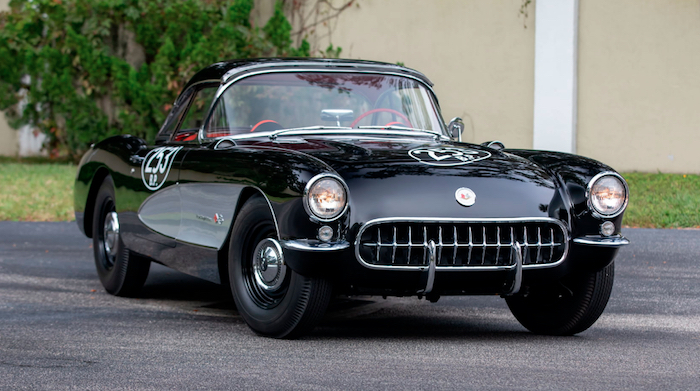 This 1957 Corvette is the earliest known Corvette with the ‘Airbox’ option package. As Mecum explains, this option was applied by Chevy using lessons learned at Daytona and Sebring. It came with a “Duntov-cammed, Rochester fuel-injected 283/283 HP V8,” the auction company says, along with a fiberglass intake on the driver’s side fender – hence the ‘Airbox’ name. The limited number of Airbox Corvettes – a mere 43 – were intended for competition use, so they were also equipped with the Heavy Duty Racing Suspension option kit, which included beefed up front and rear suspension components and brake cooling ducts. This restored Corvette Big Brake Airbox, which has a history in SCCA racing, is estimated to fetch $700,000 – $900,000 at auction. 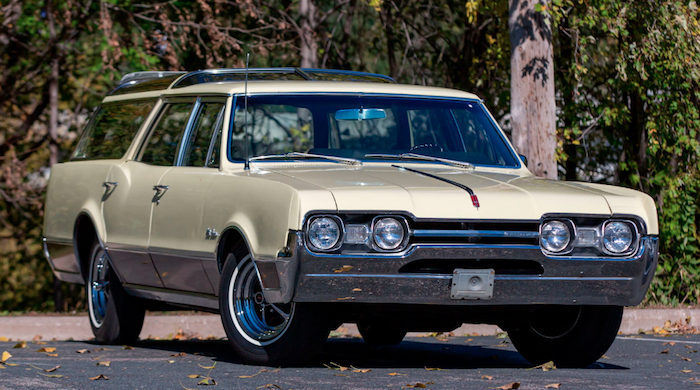 Moving away from Corvettes, we have this 1967 Oldsmobile Vista Cruiser Station Wagon. These wagons have actually aged great and this one looks to be in awesome shape, showing no signs of rust or wear. It has a mere 76,000 miles on the clock and also features the original 330 V8 engine and an automatic transmission. Plus, it was recently repainted. Mecum doesn’t have an estimate as to what this particular unit might sell for, however. 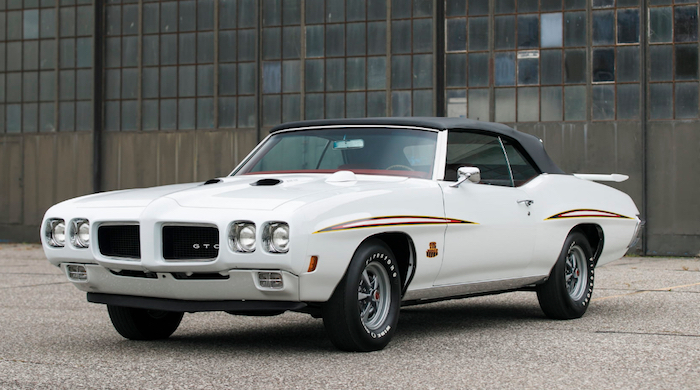 This is 1 of 168 Pontiac GTO Judge Convertibles built in 1970, and is only one of 14 GTO Judges that were equipped with air conditioning. It has a numbers-matching Ram Air III 400 V8 engine, a four-speed manual transmission and a numbers-matching rear end as well. It has been driven just 500 miles since it underwent a full frame-off restoration, and Mecum predicts it will sell for $180,000 – $210,000. Okay you got us, we’re cheating a bit. With this pairing, this list actually consists of six cars. But since they are being sold together, we figured they count as one. We also couldn’t pass up the opportunity to show you the Harley Earl and Bill Mitchell C2 Corvette Styling Cars. 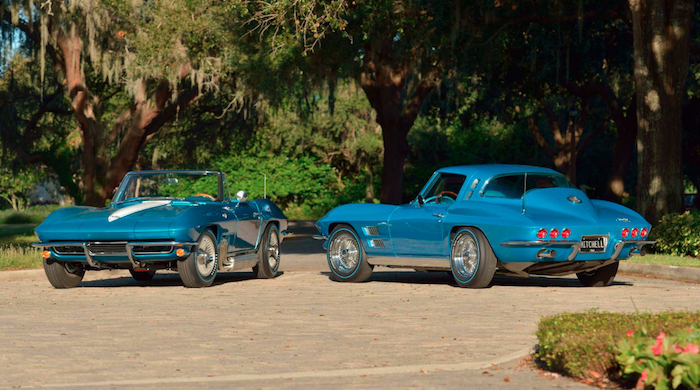 This duo, a 1963 Corvette convertible and 1964 Corvette coupe, were owned by famed GM designers Bill Mitchell and Harley Earl. The 1963 convertible was gifted to Earl by GM Design, while the 1964 coupe was Mitchell’s personal car. 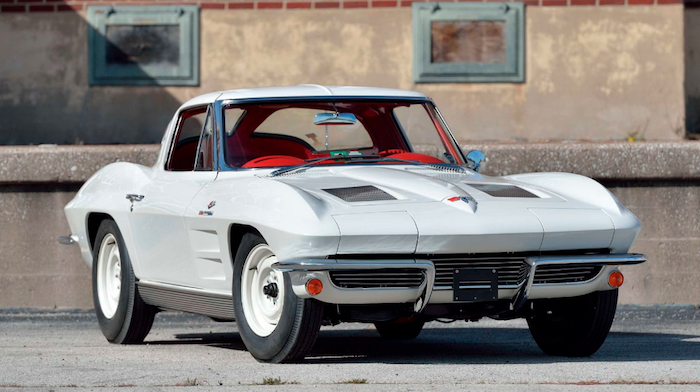 “This is a singularly historic offering of two of the most significant one-off Corvettes in the model’s history, owned and driven by the two most influential and fascinating figures of the automotive design industry,” Mecum says. So, those are our top five pics from the 2019 Mecum Kissimmee auction. But feel free to share your late Christmas gift ideas, perhaps ones that are more attainable, and show us some of your favorites in the comments below. Check out the full lot listing from Mecum Kissimmee here. Did you see the COPO Corvette that was Joe Pikes Brass Hat?